All items in matching zebra print finish. 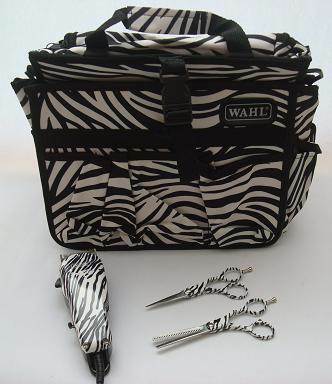 Popular Wahl Pro Clip clipper. AMA Silhouette 5 1/4" scissors and single-serrated thinning scissors. Also supplied with tool kit bag.